Larry Goldstein, who sells toys in Petticoat Lane each Sunday, showed me this photograph of his grandfather Joseph Goldstein, born in 1896 in the village of Inyema in Poland. Joseph had two elder brothers and, although there are no photographs of them, they are the true heroes of this story – because at the the time of the pogroms against the Jews, these two brothers realised they had enough money for one brother to escape, so they gave it to Joseph. In 1915, at the age of nineteen, Joseph travelled to Brick Lane via Hamburg to join an uncle who had a business selling lemonade. Yet when he arrived by boat in the Port of London, Joseph was told he must either enlist or return to Poland. 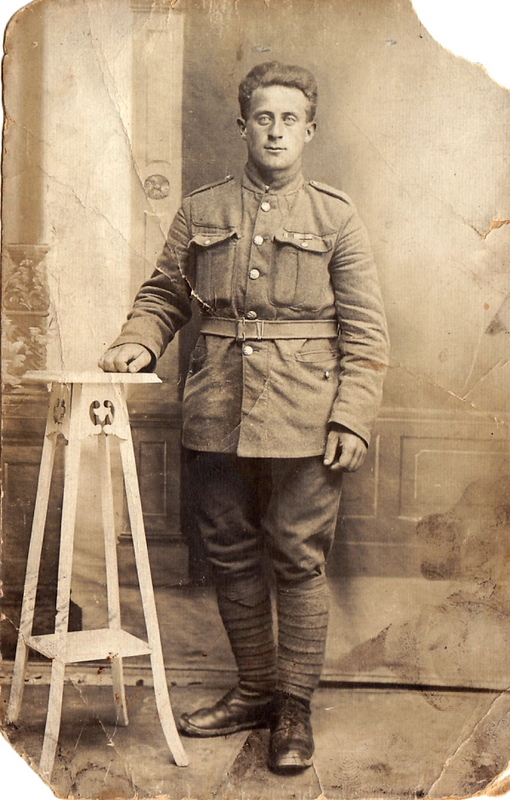 Joseph enlisted, occasioning the photograph you see above, and was sent off to fight in the First World War. He never learnt what became of his brothers and today the village of Inyema does not even exist. Although these events happened nearly a century ago, they remain vividly in mind for Larry, Joseph’s grandson. “It is amazing that his brothers put him first, so that he could get out of the country and carry on the name Goldstein, when they were murdered or tortured by the Russians. It’s touching when you come to think about it,” Larry confided to me with quiet humility, during his hour’s lunch break from driving his taxi. These events have cast a certain tender emotionalism upon subsequent family history, because all are aware they are the descendants of the brother that survived to begin a new life in Spitalfields. Having escaped Poland, Joseph was lucky enough to survive the First World War too. No wonder he got married in April 1918, as soon as the war was coming to its end, to Amelia (known as Milly). 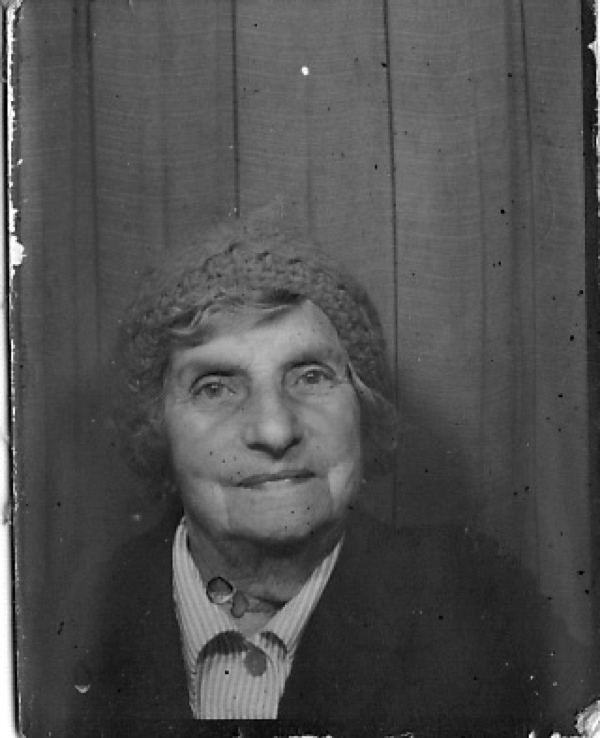 Milly Viskin was born in Pedley St, Spitalfields, in 1894 and her father was a cabinet maker. At first, they lived with her parents in Hare St (now known as Cheshire St) and he was able to get a job as a presser in Flower & Dean St, off Brick Lane. 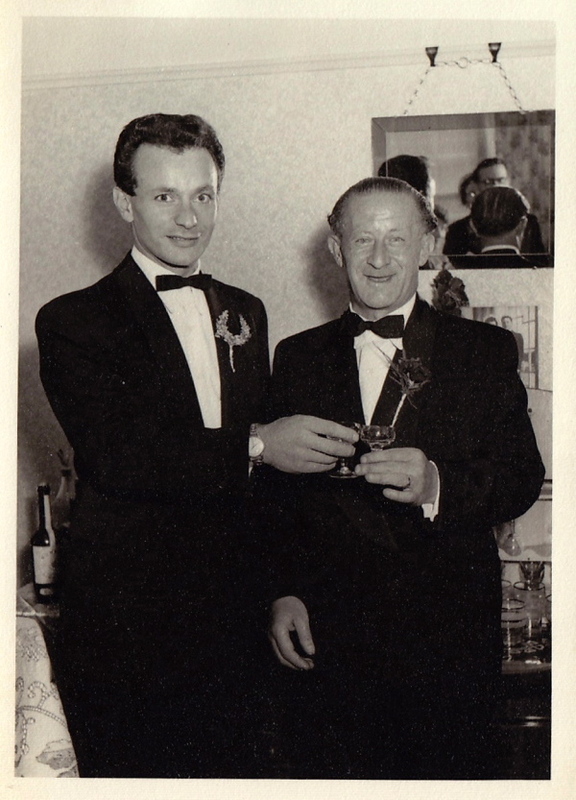 Joseph at the wedding of his son Jack in 1955. 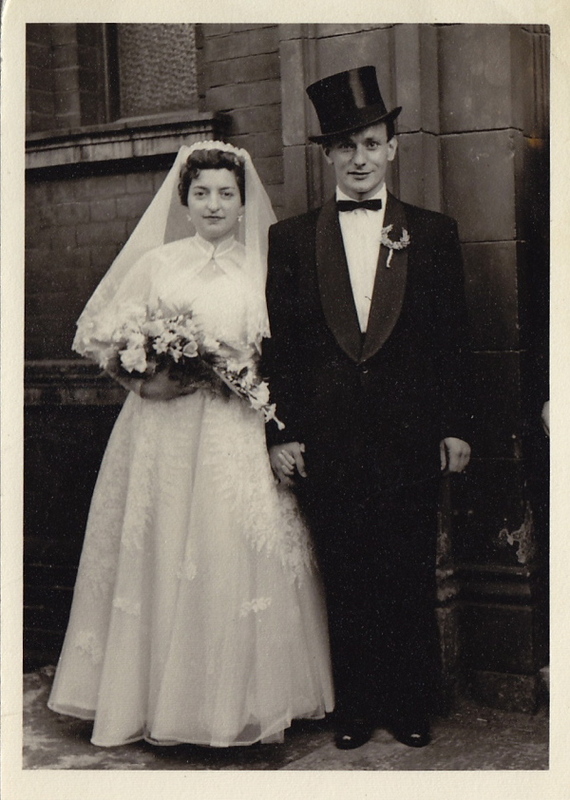 Larry’s parents, Jack & Phyllis Goldstein on their wedding day, 7th August 1955. 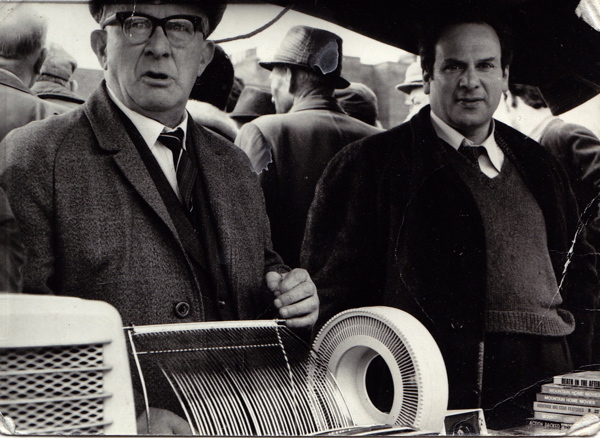 Joseph & Sid selling photographic equipment on the Kingsland Waste in the nineteen seventies. 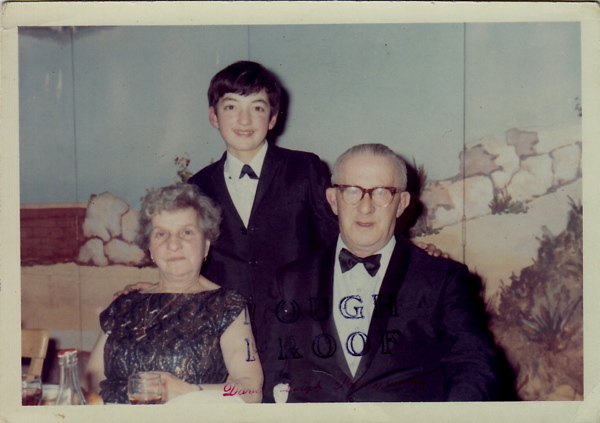 Larry with his grandparents Milly & Joseph at his Bar Mitzvah in 1970. 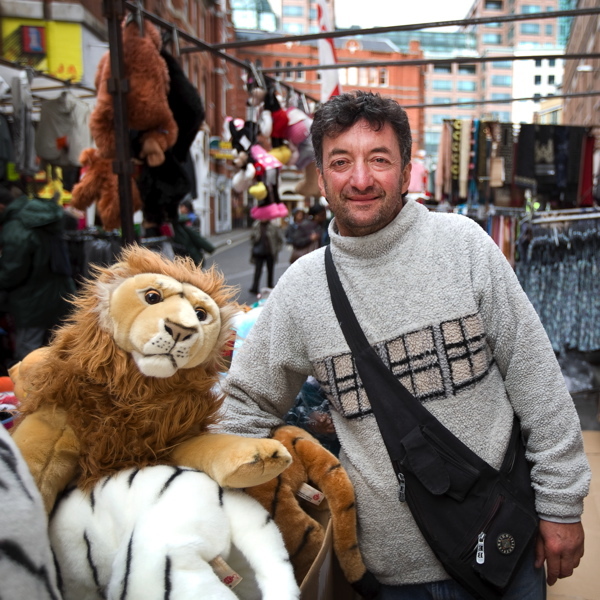 Larry Goldstein, one of the last Jewish stallholders on Petticoat Lane today. If Larry is reading this, I send him cordial greetings from another Goldstein who found himself on the pages of Spitalfields Life ! Best wishes and, Gentle Author, yet another super story ! What a delightful and inspiring story. Your website is wonderful, insightful and the local history is very interesting and intriguing. The local history of Spitalfields is very rich and I look forward to new postings. I am an American, but I love Britain and it’s history. This story of hope is uplifting and reminds many of us of our own ancestor’s humble beginnings and sometimes tragic stories as well. The Goldstein family should be very proud of their history. 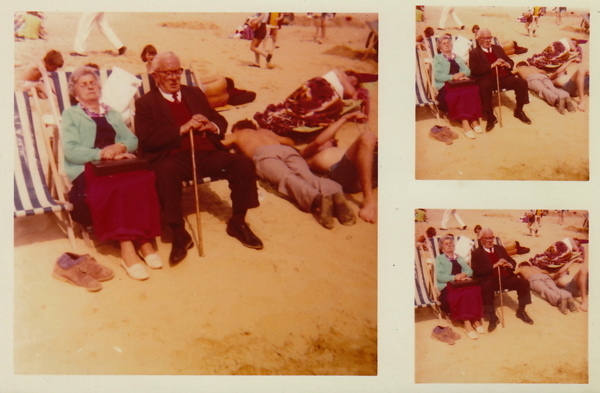 your ability to persuade subjects to lend old photographs is preternatural. they tell so much and add so much impact, thanks to you for asking and them to giving. Just as a point of interest,if Larry’s grandfather worked as a presser in Flower & Dean st, he must have worked for my late father, as it was the only workshop in that street, his name was Harry Brochocki. What an interesting and fantastic blog! I can’t stop reading and looking for old stories and pictures from Spitafields! Thanks for such a nice blog! A great story . My family escaped the Polish pogroms in Kalisch and emigrated to Australia at about the same time . What a wonderful site. I remember going down Petticoat Lane every Sunday when all the fantastic Jewish traders were there, then going to meet friends in a pub in Bishopsgate. Great times.